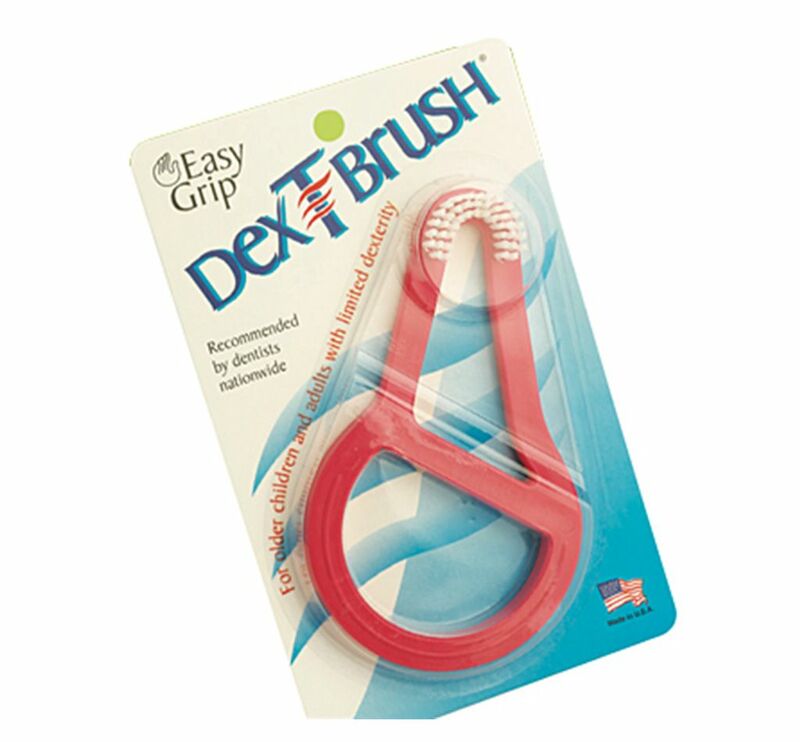 The Dexterity brush is for older children and adults with limited dexterity caused by arthritis, strokes or other debilitating diseases that inhibit their ability to use a conventional toothbrush. The innovative design allows patients to brush over the tops of their teeth, while tilting the brush slightly to reach the inner and outer surfaces of their teeth. The bristles are spaced between the teeth and under the cervical area of the gum tissue. The wider spaced bristles allow for water to be held between them and used to deliver moisture to patients with dry mouth or to rinse. Available in a packs of 24 and single.